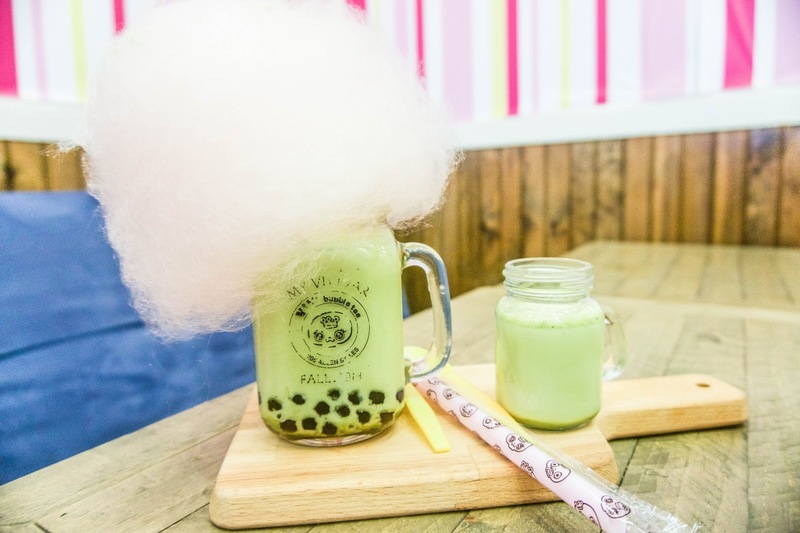 The new thing I've been seeing around Instagram lately has been these cotton candy floats. 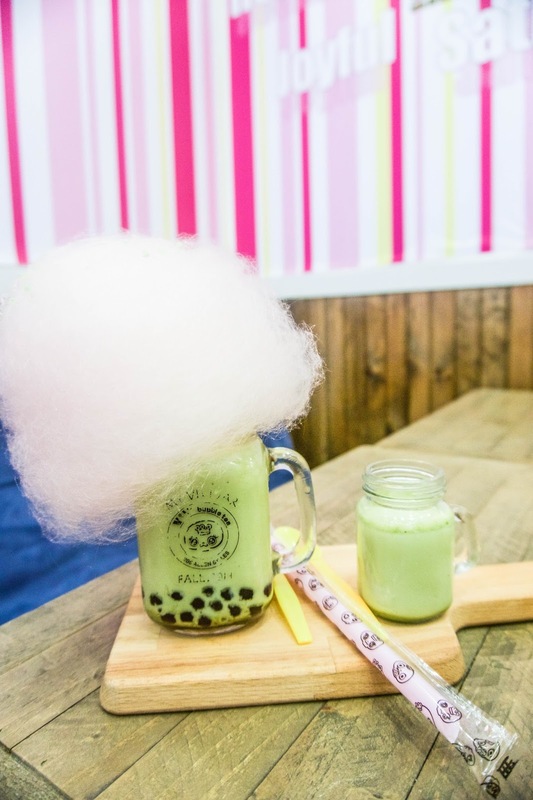 I've seen them on ice cream and now on bubble tea. I thought the main places that had this type of stuff was in Cali or in Asia so I was super happy when I found out they had something like this in NYC. My friend was the one who showed me this place cause she posted it on her Instagram. They don't have this in all of their locations. Apparently they only have it in this location (at least for now) so if you want to try this out, make sure you go to this one! They have a variety of flavors but the girl told me matcha/green tea is one of their best ones. I've got to agree because it was pretty delicious. 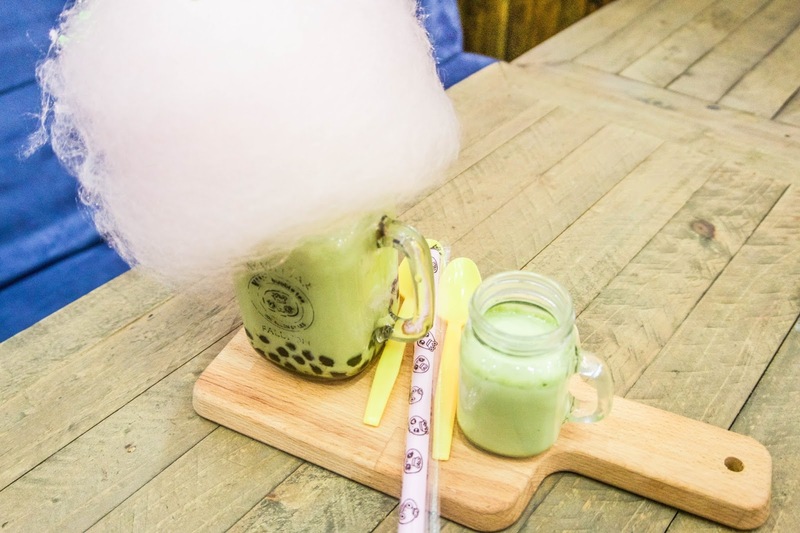 I didn't mix the cotton candy into the drink though and ate it separately. Some people were wondering if it's too sweet but it's actually not too sweet at all. The green tea didn't feel too strong, but not too bland either. I really enjoyed it and would come back to order this again. But isn't this drink so cute?! It's like I'm drinking a cloud.